A sleeping bag that helps you sleep well can be a game-changer while spending time in the outdoors. If you don’t get some quality sack time at night, not only will you not be at peak performance the next day, you could end up pretty miserable. But not just any old sleeping bag will fit the bill; you need the right sleeping bag for you based on how you sleep and the conditions you plan to encounter (climate, weather, available shelter, etc.). It’s not a one-size-fits-all formula for selecting one of your most important pieces of gear; there’s several factors that you should take in to account as you look for the right bag for you. Often times, finding the right sleeping bag can be a trial and error process. I can tell you from experience that it is worth the time, effort and money spent finding the right bag that lets you sleep your best at night in the mountains. There are several styles of sleeping bags: rectangular, mummy, quilt, hybrid, etc. 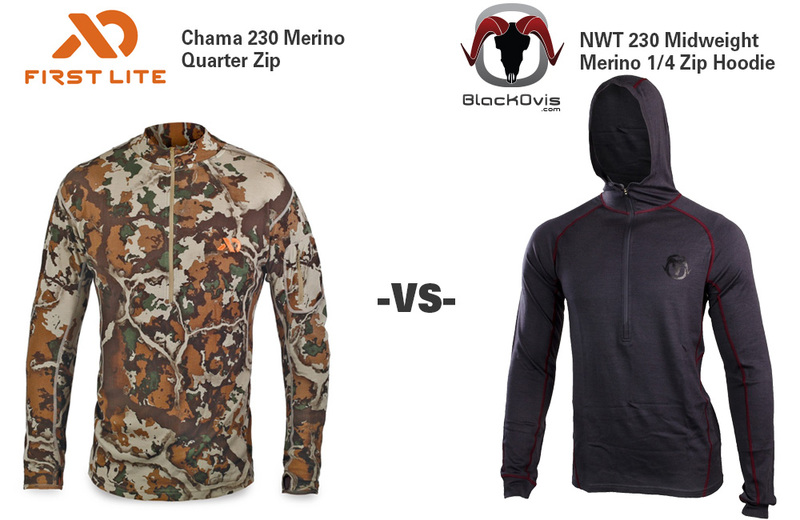 And within each of those categories, you can usually get down or synthetic in most models, left or right side zippers, extra length and/or width, wide vs narrow foot boxes, hood styles, and the list of options goes on and on. While I do own and use a very plush and roomy rectangular style bag that gets paired with a cot and foam pad when the occasion allows, the bag weighs something like 14 pounds and only gets used if I’m sleeping in a trailer or driving right to where I make camp. 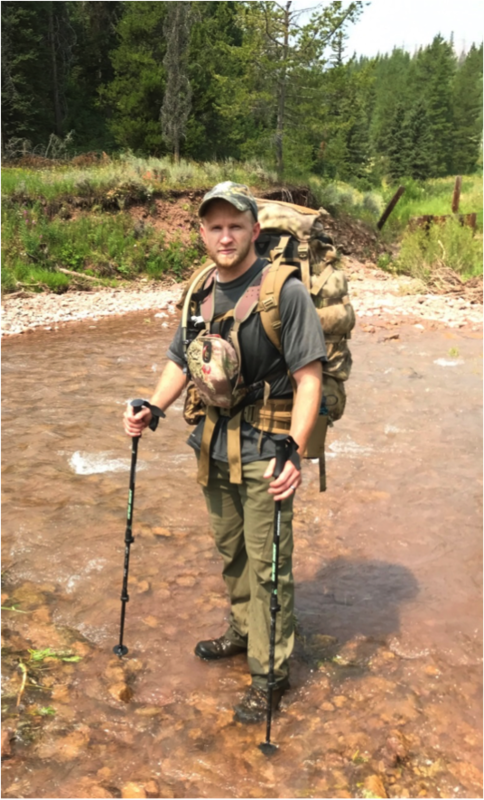 Since these situations are very uncommon for back country hunters, this article will be geared more towards how to pick the right sleeping bag based on backpack hunting/back country intended use where weight and size are at a premium. One of the first things you learn as a mountain hunter is that if your feet aren’t happy, you aren’t happy. 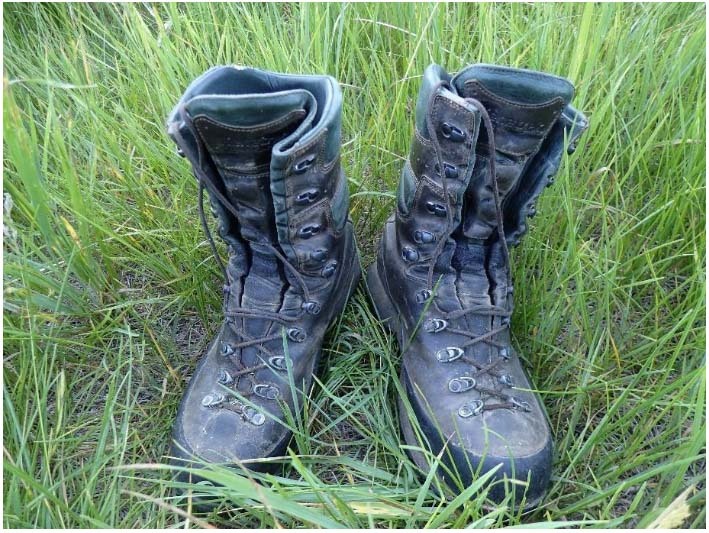 Your boots can literally make or break your whole hunt (or scouting trip, shed hunt, etc). A quality, durable, well-fitting and broken-in boot is an overlooked necessity that should be one of the most sought after items in your gear list. I refuse to let something like poor choice of footwear keep me out of the mountains! After wearing and really enjoying the Kennetrek Mountain Extreme 400’s for the last 3+ years, they were nearing the end of their useful life and needed to be replaced. As I’d been searching for my next pair of boots, I almost decided to go with the Mountain Extremes again: they’re tough boots, waterproof, have great ankle support and I really liked how stiff the soles were since that helped keep my foot locked in place when side-hilling across steep slopes – in other words, if it ain’t broke, don’t fix it! My biggest issue with them, though, was that they went 10” up my leg. This could make for some hot hiking in the summer and early fall, and this extra heat sometimes led to hot spots on rare occasions, but mostly it just resulted in extremely hot and sweaty feet. Also, it took me quite a while to get them broken in to my liking. Even though I was happy overall with the Mountain Extremes, I decided to branch out and give something else a try. I’d heard a lot of good things about Crispi boots, and when BlackOvis started offering them, I decided to jump on the opportunity to get some. 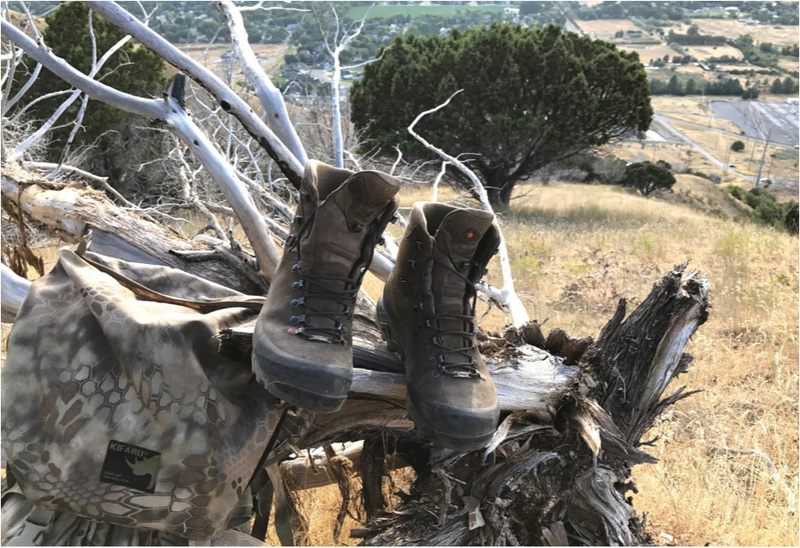 I went with the Nevada Legend GTX Insulated Hunting boot because I wanted my boots to keep my feet warm and dry when it gets cold out, like during a late season hunt, hiking in the snow, or during creek crossings. 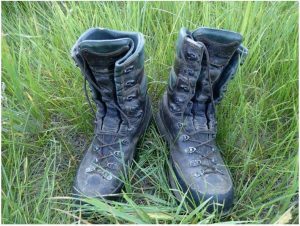 I like my boots, and just about all my gear, to be functional in as many different environments and situations as possible. When I got the Nevada’s and tried them on for the first time, I was impressed by their comfort and support. One of the main things I noticed right out of the box, was that the sole wasn’t completely stiff like in the Mountain Extremes. I knew this would be the case though, since the Mountain Extremes have a steel shank in the sole that maintains complete sole stiffness. The Nevada’s were not far from feeling completely stiff though; the only part in the sole that had any flex at all was right under the balls of my forefoot. After having hiked in them, I like how they flex just slightly in that area as it has helped me with balance and gaining a good foothold as I’m going up steep hills. I also noticed, even while walking around my living room in them, that I really liked how they only went 8” up my leg versus the Mountain Extremes that went 10” up my calf. You may think 2” may not be a huge deal, but I could tell a noticeable difference in comfort even in my living room. One of the first things I did, as I do with every new pair of boots I get, is I laced them up tight and started walking up and down the basement stairs. I would highly suggest that you base your initial opinion of a new pair of boots off of how comfortable/uncomfortable the boot (and especially the heel) feels when you put the boots on right out of the box, lace them up, and walk up the stairs. If you feel extreme pressure or discomfort in the heel area, remember that this discomfort will not go away or break in and will always be there with you when you’re climbing the mountain. Before buying, I’d heard from the majority of Nevada owners that they ran very true to size, and the general consensus was to order them in whatever size of every day shoe you wear. For me, that would be a 10.5. But, being the skeptic that I am sometimes (since no two peoples opinion of gear is exactly the same), I ordered two pair (10.5 and 11) to try both and see which fit me best. After several hours of walking around the house and doing laps up and down the basement stairs, I decided that the general consensus had been true, that they ran very true to size, and I kept my 10.5s. Thanks to BlackOvis’s awesome return policy, I had my money back for the size 11 pair I’d returned within just a few days. I’d also read and heard that some people had worn the boots on a hunt right after buying them, with no break-in and surprisingly no problems they claimed, but I was not going to be one of those people. I’ve made it a habit to always break my boots in by wearing them to work and around town before ever wearing them on a mountainside, and I think this has saved me a lot of pain. I wore them around town for a few weeks, and I am a firm believer that this really does help with initial break-in. The Nevada Legend GTX are insulated with a Gore-Tex lining that Crispi claims is roughly equivalent to 200 grams of Thinsulate insulation, but they say that because of how they apply the insulation it allows the boot to breathe better than it would if it had Thinsulate. 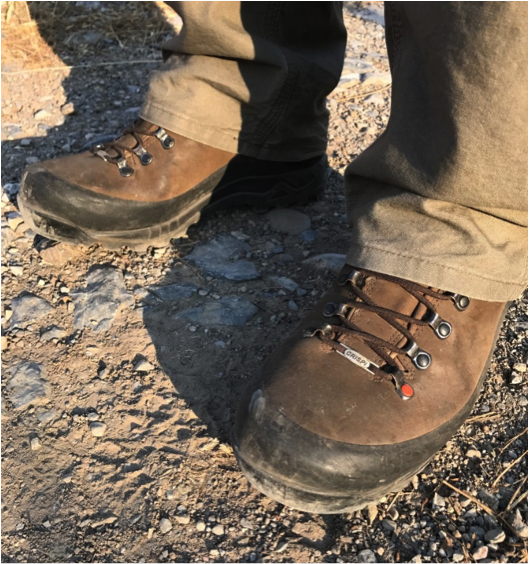 In my experience with the boots, I honestly didn’t notice any difference between the insulated Nevada’s and my old Mountain Extremes which have 400 grams of Thinsulate. This may be due to the fact that the Gore-Tex lining may retain heat a little differently than Thinsulate does, or it could be just me. Everyone’s body manages heat slightly differently, but I found the Nevada Legend GTX’s to be plenty warm, even when I was sitting on a windy mountainside and it was 40° F while waiting for some bucks to get out of their beds for the day. On a recent hike I went on in the Nevada’s, I was hiking up an incredibly steep hillside while on a scouting trip. I could feel my right heel starting to get a little hot when I got to the base of the last steep hill before camp. 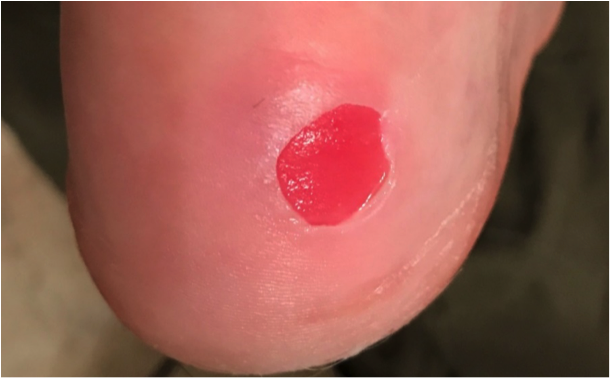 By time I made it to camp and took my boots off, I noticed I had a roughly dime-sized blister on the back of my heel that had burst. This is not the boots fault by any means, this was operator error as far as I’m concerned; first off, it was probably in the high 70s when I was hiking in at 4 pm, and I was going up some very steep inclines, so my feet were sweating more than normal, and I had a medium weight merino sock on – not a good combination to keep your feet from perspiring profusely. Also, I came to the realization that I probably hadn’t broken them in by wearing them to work and around town as much as I thought I had. I’m not recounting my blister experience to deter anyone from getting these boots by any means, but simply to make the point that while some people may have been able to use the boots with no break in time at all and come out just fine, that won’t be the case for everyone (case in point: me) since no two sets of feet are exactly the same. This is merely meant to be a reminder to always break your boots in as best you can prior to field use in order to try and mitigate any potential problems. If you don’t, you may end up wishing you had. Waterproofness is also something that is very important in a mountain hunting boot. I was able to test the waterproofness of the Nevada’s while doing some stream crossings. I stood in water up to and over my ankles for a few minutes and never felt a drop of water hit my feet. I also took the boots off after one of the stream crossings and checked my socks for any damp spots, but didn’t find any. The ankle support that the Nevada’s provide is excellent. Crispi’s A.B.S.S. (Ankle Bone Support System) is a support system comprised of a combination of materials that contour to your ankle when you lace the boots up. The ankle support system is designed to support your feet in steep terrain by limiting fatigue and providing excellent sprain protection. I can attest to the truth of these claims made by Crispi as I’ve taken the Nevada’s into some incredibly steep terrain and experienced no issues with my ankles, even with a fairly heavy pack on. If there’s one thing that surprised me about the Nevada’s, it’s that the toe box was on the big side compared to what I’m used to. This hasn’t been an issue at all for me, just more of an observation. So if you prefer a small or tight toe box, you’ll want to make sure to try the Nevada’s on first to make sure it’s not too big for your liking. 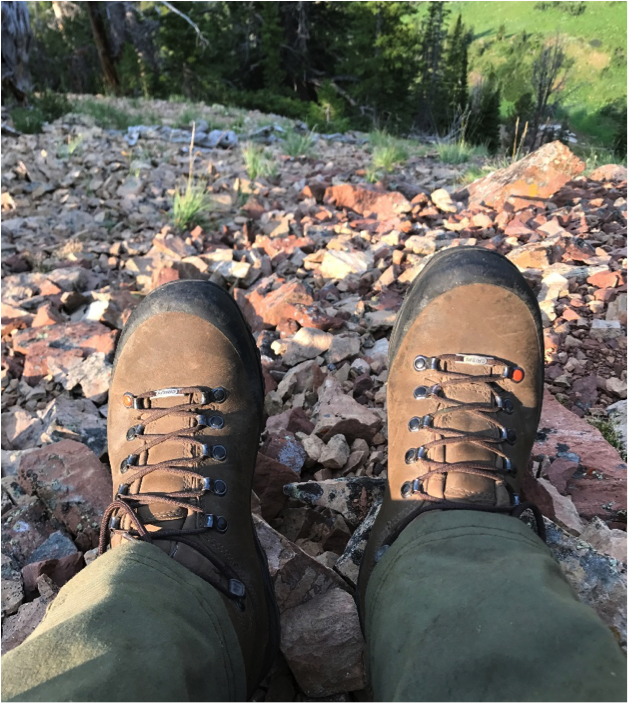 I’m happy I decided to try the Crispi Nevada Legend GTX Insulated Hunting boots, and I would highly recommend them. If you’re in need of new boots, you can’t go wrong with these. They offer excellent support, waterproofness and protection from the elements, and they’re extremely comfortable. 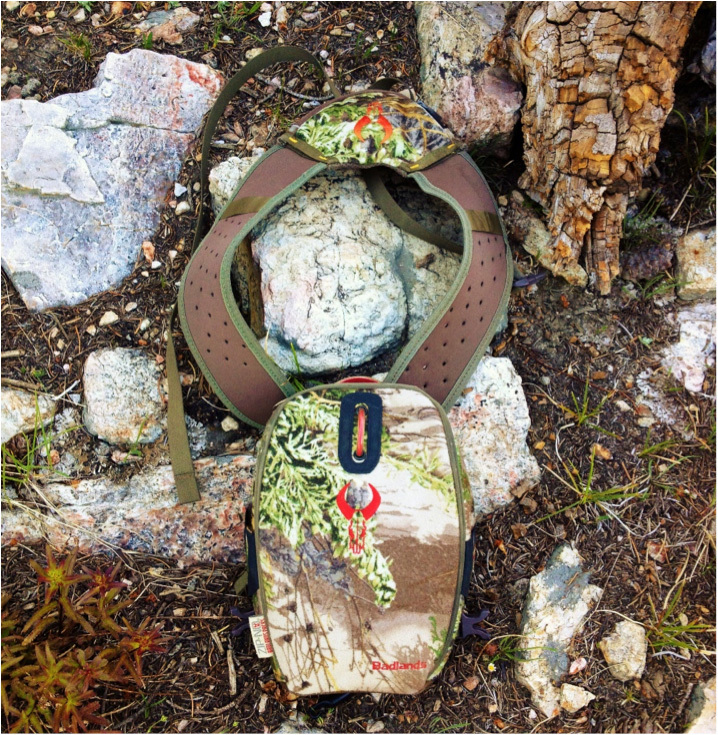 They will definitely help keep your feet happy so that you can continue to enjoy the mountains! Ask any serious big game hunter what brand of trail cameras they use to keep track of the big game animals they’re after and Stealth Cam will definitely come up in the conversation. Stealth Cam is not new to the scene, either; they’ve been around since 2000. Prior to Stealth Cam’s launch, the trail camera market was not what it is today. There were options available, but not nearly like the selection we have at our fingertips now, and they were built differently and not near as functional or user-friendly as what’s currently available. The creators of Stealth Cam decided to change that. They saw a niche that needed to be filled. Their goal was to create a functional wildlife monitoring system using the latest technology that would be affordable to the average sportsman. Over the years, Stealth Cam has refined their product. They’ve had setbacks just like any new company can and usually does, but through increased effort into the engineering process they’ve been able to overcome those setbacks and in turn create even more highly functioning products. The drive to become the best in the industry has ultimately benefited the customer by far the most as their technology and products have improved, from the looks and ergonomics down to the components and circuitry. 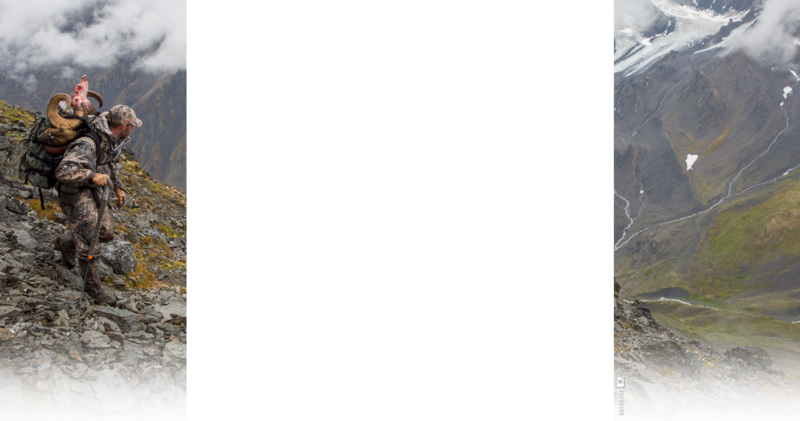 For example, until just recently, Stealth Cam had been found to have one of the slower trigger speeds as well as recovery speed times. But, thanks to their engineers they were able to fix that, and now they boast some of the fastest cameras on the market. Just goes to show that when companies compete the real benefactor is the customer! My first impression of the First Lite Uncompahgre Puffy Jacket when I pulled it out of the package it arrived in was, ‘this is it? !’ I was expecting something much bulkier and heavier than what I was holding. I’ve read a lot of reviews on puffy jackets, and some of the comparison type reviews led me to believe that the Uncompahgre was much bulkier and heavier than comparable top of the line puffy jackets designed for hunters and outdoorsmen. I was surprised at how light it felt, and how thin it seemed. I was excited to put it to the test! I take my binoculars anywhere and everywhere outdoors every time I go. 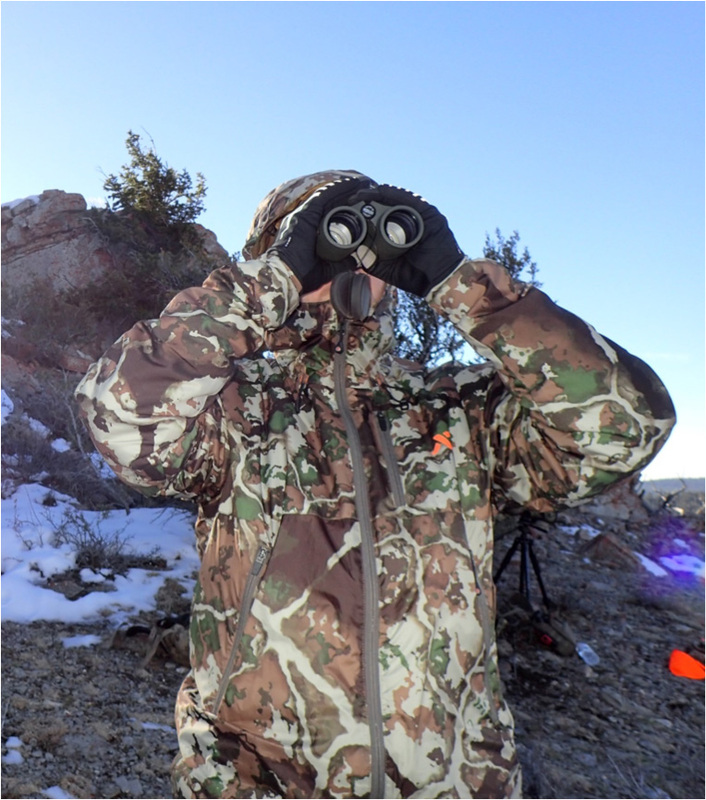 It doesn’t matter if I’m scouting, hunting, shed hunting, driving through the canyon, or even on a walk with my family in the foothills, I’ve always got my binoculars handy because you never know what Mother Nature has in store for you! When I started out hunting, I used/borrowed a pair of $50 binoculars that my dad kept in his closet but seldom used. I did my best to take care of them, but looking back I think I was actually pretty careless. I’d carry them around my neck on a strap with nothing more to protect them than a set of flip-off covers for the objective lenses and nothing covering the ocular lenses. Those binoculars took a beating, bouncing around on my chest all day and suffering whatever the elements had in store from sun, wind and dust, to rain and snow. When I decided it was time to get serious about my optics and that I needed an upgrade in the binocular department, I knew that before I ever purchased a high end set of binoculars, I needed to figure out a good carry system for them. I had to have the carrying system selected and purchased before I purchased the new binoculars or else I’d be too tempted to take them out and use them just once or twice or maybe twenty times before I got around to purchasing the carrying system. I had made up my mind to not let that happen. One reason I was so adamant about having the carry system before buying the binoculars was that I’d had a friend who bought new binoculars and took them out into the field before getting a carrying case. Long story short, he ended up dropping them while coming down a wet hillside when he fell and actually cracked one of the lenses. I did not want to chance ending up in that situation! 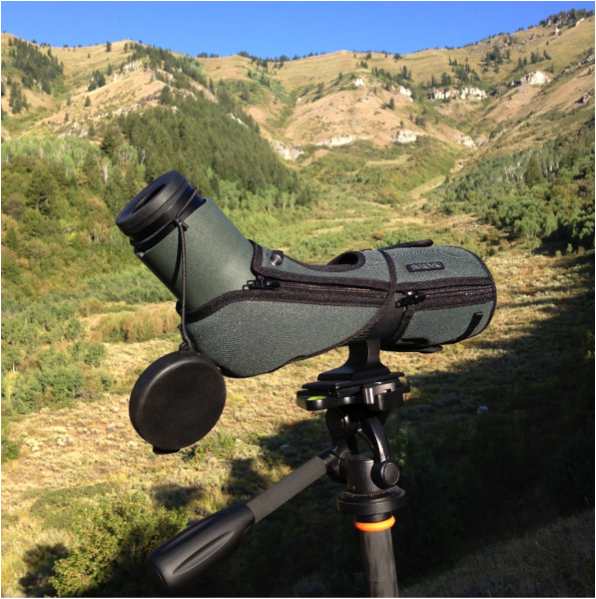 When I first began researching the options available for binocular carrying cases, I was a little naïve in my selection process. I knew I wanted 10x42 binoculars, a pouch that rode on my chest, and something that offered complete protection when shut. That was about the extent of my criteria. 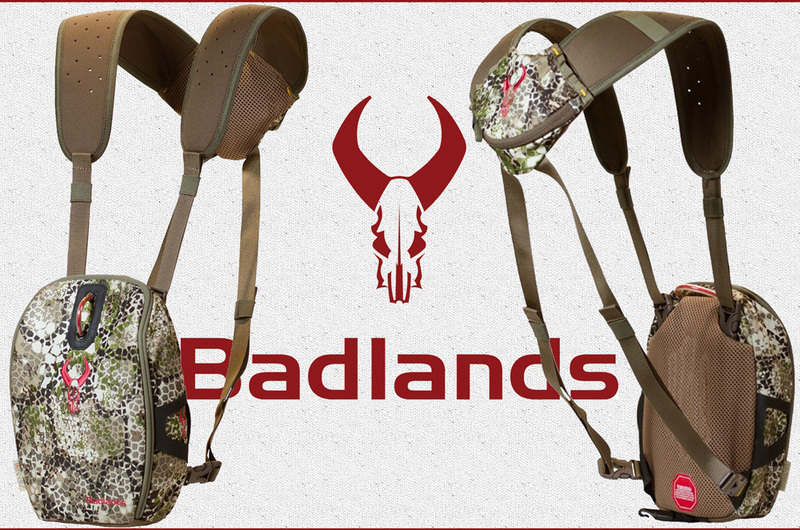 I looked up different options online and read about them, but what eventually helped sway my decision was some input from close friends to get the Badlands Magnetic Binocular Pouch. If you’re a serious big game hunter, then you know that a quality spotting scope is one of your most important tools. The phrase ‘let your eyes do the walking’ doesn’t mean you’re a lazy hunter, it means you’re a smart hunter. Sometimes we are confined by unit regulations to only harvest certain types of animals, be it unbranched bull elk in a spike only unit, full curl Dall Sheep (the ‘full curl’ requirement can actually be met in a few different ways, all of which a quality scope helps in determining! ), a nanny-only mountain goat hunt, and the list goes on and on. Or maybe you just want to find the biggest, oldest buck that you can, but there’s hundreds of square miles to cover from your glassing spot where he could be hiding. If you can’t accurately make out what it is exactly that you’re looking at through your binos, or with your naked eye, then you’re stuck in between a rock and a hard spot not knowing if what you’re looking at is worth your time and energy to go after. This is where a quality spotting scope can really help you out. Now the word quality in terms of a spotting scope will mean different things to different people; some can’t or won’t spend as much on a scope as others, some people only like certain types or designs, and for some, size and weight play a big influence on their decision of what scope to get. But in the end, I think a quality spotting scope means that you are seeing as far as possible with the clearest possible image and maximum possible light transmission. In my opinion, the Swarovski ATX 25-60 x 65 mm spotting scope is the definition of a quality scope. The ATX 65 mm scope for me is the perfect blend of multiple elements: size taken up in and weight added to your pack, sleek ergonomics, and unrivaled optical clarity. I chose the ATX model over the STX model simply because I like an angled spotting scope. Since I do a lot of backpacking, a scope that doesn’t take up half the space in my pack, or add too much extra weight, is something I really put a lot of importance on. The ATX 65 mm is listed as weighing 55.9 ounces, or 3.49 pounds. That small weight penalty is something I’ll gladly take so that I can see how big a buck is that I’ve glassed up across the canyon over a mile away. And at just over 13 inches long, it doesn’t take up much room at all in my pack. The picture above was taken a few weeks ago right before I hiked up a fairly steep bush-covered hill to a water hole to set a trail camera. The Kenetrek Mountain Extreme 400’s have taken me many such places, and I’ve logged hundreds of miles in them, from hunting and scouting the high country, backpacking in to new areas to get the lay of the land and try to find a big buck, shed hunting in the snow and mud across several states, and everywhere in between. I have worn these boots for any and all outdoor activities for over 2 years now, and while the wear and tear is starting to show, they’re definitely still going strong. Instead of starting out by listing the manufacturer’s specs on the boots (you can find these pretty easy with a quick Google search), I’ll get right into my personal experiences with them. A local sporting goods store had them in stock so that I could try them on and see how they fit before buying (this is crucial!). A recommendation from a friend who’d used them for years and really liked them. Now, I would highly recommend that when making such an important decision such as what new hunting boots to buy, that you put more into your research and selection of boots than I did at the time! But, as luck would have it, I feel that I ended up with a definite winner with these boots. I will say that for me personally, I’ve found over the years and through trying on many different pairs of shoes/boots for running, basketball, and hiking, that my feet aren’t very ‘picky’ for lack of a better term; I’ve never had a pair of shoes or boots that I can remember that I just couldn’t wear due to extreme fit or discomfort issues. Call it luck or call it ignorance, but I feel I’ve been pretty lucky in that respect.